New Delhi OnePlus 6T can be launched soon. The company's founder, Karl Pe, informed about the fact that the company can launch T-Variants of the oneplus 6 soon in its flagship. It can be used with more features than Oneplus 6 and new technology. Let us know that the company will launch its T variants in November. Last year, the company has launched OnePlus 5T in November. This time the company can launch this smartphone next month. Let's know about the potential features of OnePlus 6T, and in other ways, this smartphone will be better than OnePlus 6. Assuming photographs leaked on the ECC (Eurasian Economy Commission) Certification website, this model has been model number A6013. The look and design of this phone is very similar to the recently launched Open R17 and F9 Pro. Waterdrop can be given in the smartphone. Triple camera can be given in its back panel. Dual rear camera can be given in the top of the back panel. Also, another camera can be given just below the dual rear camera. The LED flash can be given below this third camera. On the other hand, talking about its front camera, it can be given a pop-up selfie camera just like Viva Nex. Fingerprint sensor is not provided in its back panel. 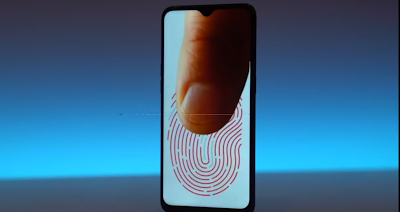 This means that it can be given in-display fingerprint similar to the Vivo X21. Speaking of other specifications of the phone, it can be given an 6.4-inch AMOLED display just like the Oppo R17. However its bezel can be diluted just like OnePlus 6. Its back panel can also be made of glass used in OnePlus 6. Talking about this smartphone's processor, it will also run on the Snapdragon 845 processor like OnePlus 6. Additionally, this smartphone will support Android's latest operating system Android 9 or Pie.